Back with it’s third exhibition, Print Ready is exhibiting recent publishing projects from over 20 artists including: Roshanak Amini, Josef Carhoun, Sylvana d'Angelo' Sarah Davidson, Karsten Forester, Ben Frey, Carli Gaudet, Amiel Gonzales, Britteny Groetelaars, Jazz Halloran, ITB Collective, Michael Heck, Phaedra Harder & Stephanie McDonell, Sean Karemaker, Michael Lachman, Juli Majer, Barbara Matthews, Ryan Ming, Cole James Pauls, Caitlin McDonagh & Ryan Thompson, Ann Raddovanovic, Iqvinder "Raju" Sing, Doug Wideen and Katayoon Yousefbigloo. Print Ready was started in order to promote the work of artists experimenting with self-publishing zines and books. The aim is to foster additional support for artists working within the versatile medium of self-publishing. 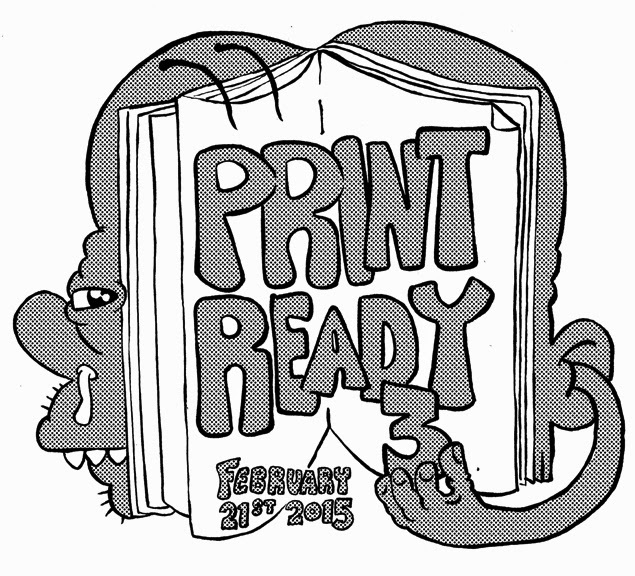 Print Ready is a non-profit project that hosts book and zine launches, in addition to large group exhibitions. Print Ready is coordinated and curated by Michael Lachman and Nathan Jones.